Infographic: When do you REALLY pay for tobacco use? 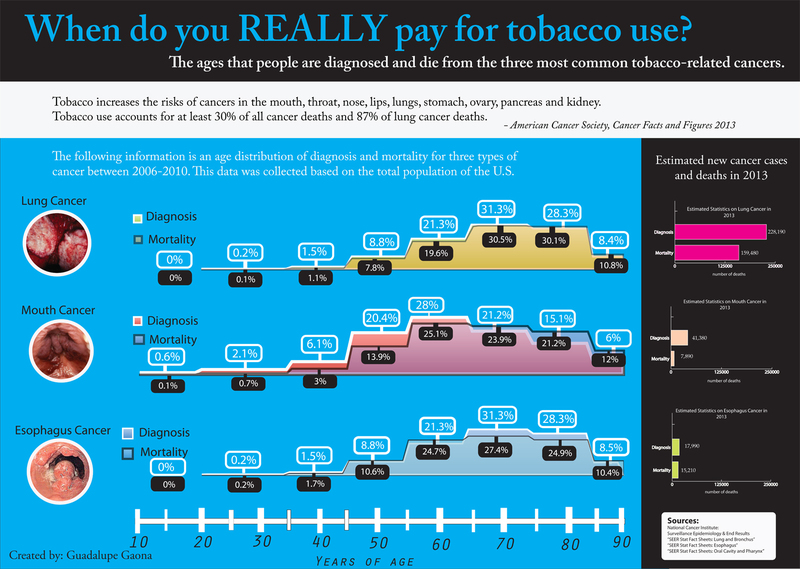 Home/Infographics/Health and Medicine/Infographic: When do you REALLY pay for tobacco use? Guadalupe Gaona illustrates data on three cancers–lung, mouth, and esophagus–related to tobacco use.